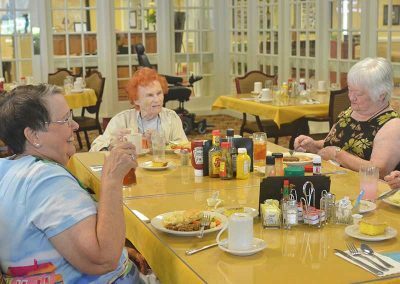 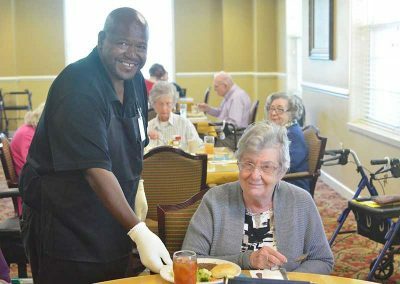 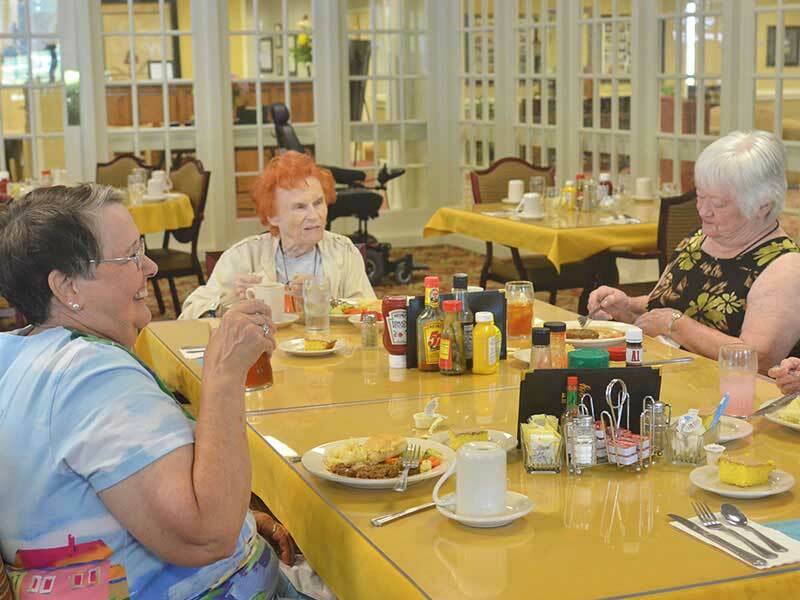 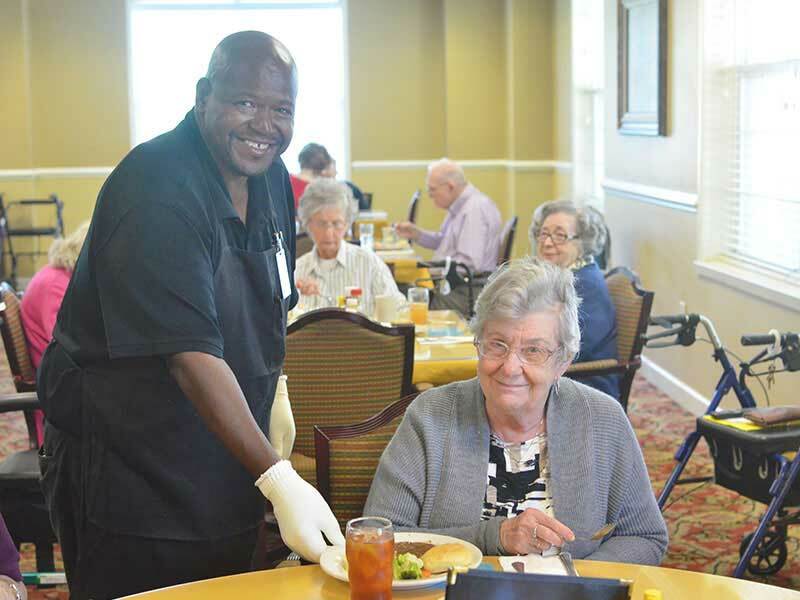 Dining at Regency Retirement Community is a social experience. 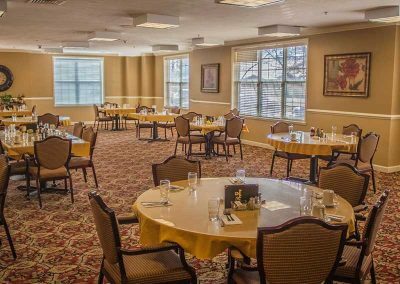 Residents enjoy three delicious meals a day in our dining room while also enjoying lively conversation. 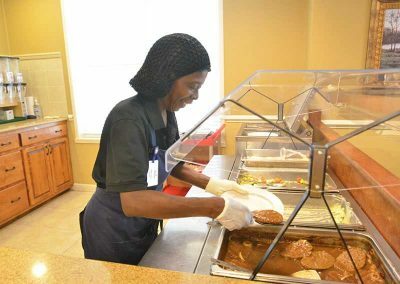 Meals can be served in room during periods of illness as well. 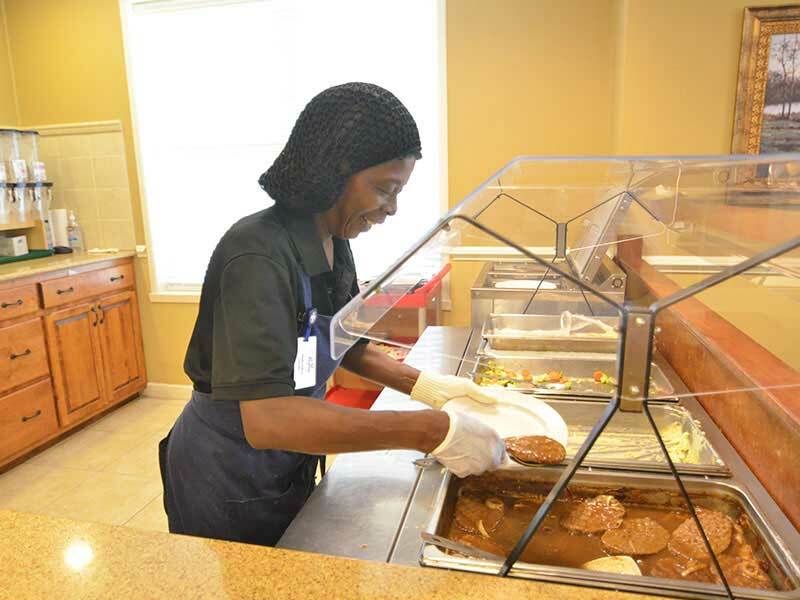 Using made from scratch recipes and fresh, local ingredients, we serve our residents delicious, well- balanced meals. 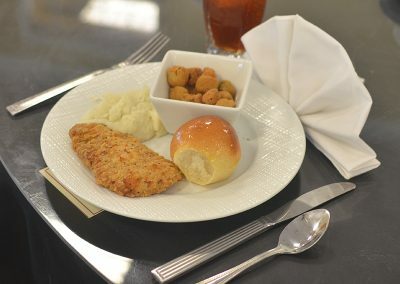 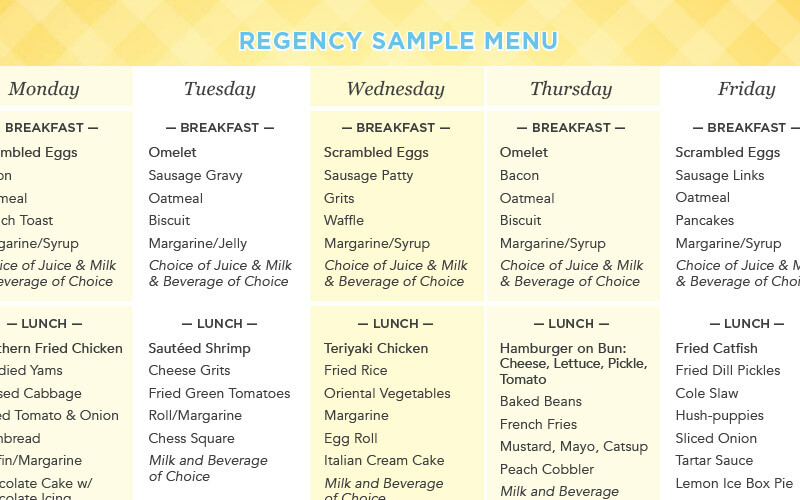 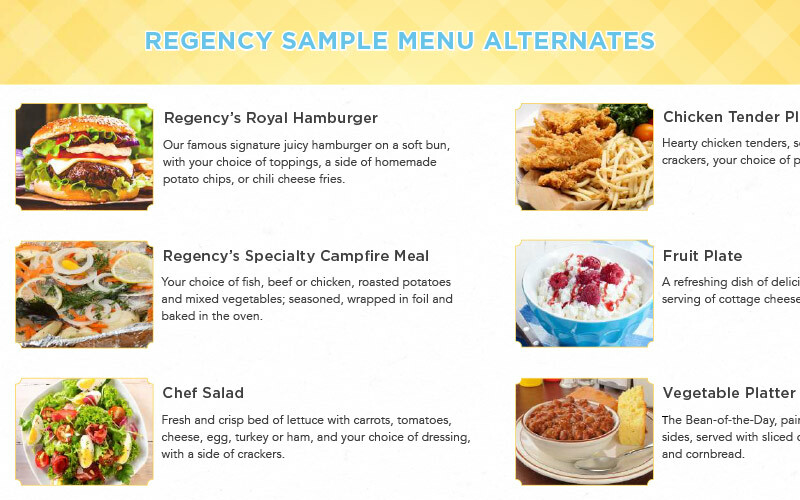 Residents are able to select from a variety of dining options at each meal. All meals are prepared fresh each day by our executive chef and culinary team.